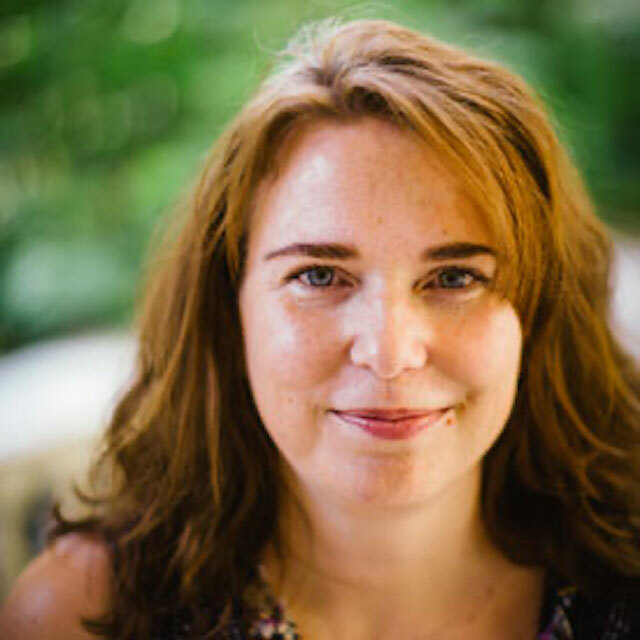 As regional director, Kindra Halvorson leads the expansion and deepening of TechnoServe’s impact in East Africa, and assures quality and cost effectiveness of its programs and projects. 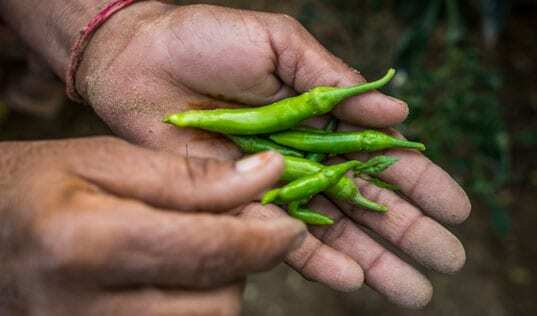 This interview was originally published on the Global Food for Thought blog from The Chicago Council on Global Affairs. Sung Lee: You’ve spent a large portion of your career building public and private partnerships for agriculture to alleviate hunger and poverty. What progress has been made in terms of this collaboration? Kindra Halvorson: Since the global food crisis of 2007-2008, agricultural development has emerged as a key priority for donors and governments around the world. Governments see private firms as an important partner in this effort because they can both contribute funds and help ensure the sustainability of development investments. At the same time, food companies (among others) have started to think about investments in development-related projects not only as part of their CSR strategy, but as a means of securing their supply chain for the long term and thus integral to their core business. As a result of these two trends, public-private partnerships are now very much at the forefront of efforts to providing lasting solutions to hunger and poverty. SL: What are the benefits of private sector investment in the food and agriculture sectors? KH: Most agriculture in Africa is subsistence-level, and 70 percent to 80 percent of the populations in most African countries live in rural areas and rely on subsistence agriculture for their livelihoods. For people in these countries – and the rest of the world, for that matter – to become food secure, modern agricultural practices that dramatically improve yields and optimize use of the land must be adopted. This will require significant investments in better inputs, equipment and technology as well as farmer education. Such investments require money, and farmers can make money only if somebody buys their produce. Private sector investment can help to seed the investment in inputs or post-harvest handling that allow farmers to sell their produce at a profit, and then allow farmers to re-invest in their farms. Although donors and governments can, and have for years, invested in efforts to upgrade agriculture in Africa, these investments are by their nature short-lived since they are funded by taxpayer dollars. Private food companies, among others, have a vested interest in seeing better yields and more efficient agricultural production. These companies will reward improvements by buying more, leading to higher incomes for farmers, which can lead to increased investment in farms. When all goes well, private sector investments can establish a virtuous cycle of improvements. 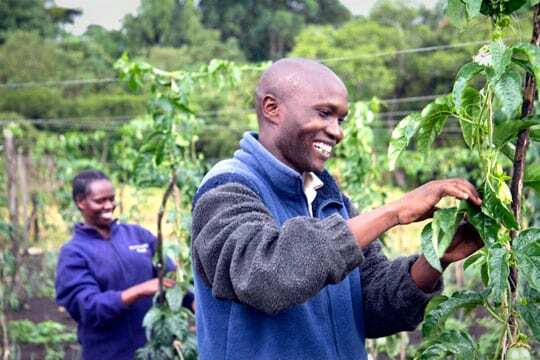 TechnoServe is helping fruit farmers in western Kenya diversify into new markets as part of Project Nurture, a partnership with The Coca-Cola Company and the Bill & Melinda Gates Foundation. SL: What more needs to be done to foster greater public-private partnerships (PPPs) to eradicate global hunger and poverty? KH: Although there is now more goodwill and more public-private partnerships than ever before, there remains a degree of wishful thinking on both sides, with a healthy dollop of distrust for the private sector by many governments and members of civil society. As with any partnership, these things often could be overcome at the outset by establishing and accepting both the incentives that are driving each participant and the limits of their contribution. It sounds simple, but private companies often face distrust because they are motivated by profit. Sometimes donors expect them to take steps that could be contrary to this clear priority. On the other hand, private companies often fail to understand the complexity that governs decisions by their public counterparts and become easily frustrated or disillusioned when things don’t happen as they would like. Explicit acknowledgement at the beginning of each new PPP of the incentives and challenges relevant to each partner, and a mutual commitment to accept and work with those, would lead to better results and fewer failed projects. 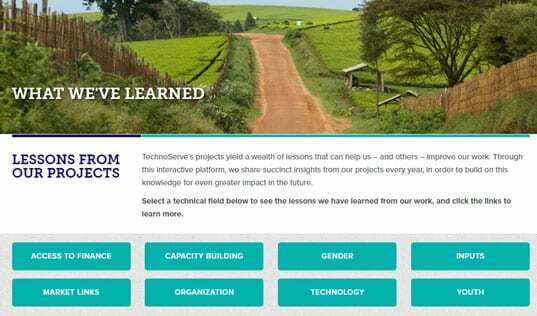 SL: TechnoServe recently partnered with the MasterCard Foundation to empower young women and men in East Africa. What is the role of youth in agricultural development? KH: The farming population in Africa is aging, as youth that have watched their parents and grandparents live hand-to-mouth migrate to towns and cities in search of opportunities to better their futures. But youth are more receptive to new ways of doing things, and more likely to adopt commercial approaches to agriculture. As populations grow and urban populations in particular, demand for food will continue to grow. It’s therefore critical to engage youth in modernizing and commercializing their family farms – not only to meet the growing food needs of the population, but also because there are genuine opportunities for income and advancement in farming, opportunities that are much more accessible than those typically available in urban areas. SL: What challenges do they face? And what are the solutions to address those challenges? Many rural youth lack hope or any notion at all of how to start on a path out of poverty. KH: In addition to the challenges that all smallholder farmers face – limited access to inputs, poor knowledge of modern farming techniques, little awareness of market opportunities, among others – youth often lack access to land or other assets such as livestock that are controlled by the elders in their families or their communities. They also lack access to credit that would allow them to invest in assets. Perhaps most importantly, many rural youth lack hope or any notion at all of how to start on a path out of poverty. At the core of our partnership with the MasterCard Foundation – Strengthening Youth Development Through Enterprise (STRYDE) – is a training series on personal effectiveness. This helps youth recognize and articulate their own potential, identify their aspirations and develop basic skills that can set them on a path to economic self-sufficiency, whether that’s through agriculture, entrepreneurship or employment. For those who focus on agriculture, access to assets through arrangements with family or village elders is critical, as is knowledge of and access to commercial agricultural markets in their areas. SL: How did you get involved in international development work? KH: I grew up in Minneapolis and was interested in traveling abroad as long as I can remember. Following in the footsteps of my family, I was also passionate about social justice and had a particular interest in conservation after many summers in the Boundary Waters wilderness in northeast Minnesota. While studying at the University of Minnesota in 1990, I was fortunate to be part of a great program called Student Project for Amity among Nations, which enabled me to undertake a fairly independent study abroad program in Zimbabwe. It was there that I realized that conservation of wild things and wild places wasn’t possible if it was in competition with people’s need to feed their families, and my passion for finding paths for economic development that would conserve and protect the resources and beauty of our planet was born.